Sangeeta Goswami, Human Security Collective, writes: ‘Derisking is defined as the practice of financial institutions exiting relationships with and closing the accounts of clients considered ‘high risk’. Nonprofit organisations (NPOs), unfortunately, seem to fall within this ambit – along with certain others such as money-service businesses, foreign embassies and correspondent banks. This has led to NPOs around the world being unable to carry out their mandate, affecting aid and relief, as well as the campaigning for political and social change. It has also, in some cases, led to funds being transferred through unregulated channels. Why is this happening? Why is banking nonprofits considered risky? And what can be done about it?’ Read the full blog here . Seema Nair writes about the impact on Indian civil society of the Indian government’s implementation of counter-terrorism financing standards, including the introduction of several clauses not related to curtailing funding to terrorist organisations. Some of the more problematic among these include preventing organisations of a ‘political nature’ from receiving foreign funding without an adequate definition of ‘political activity’ thus allowing investigating officials to define any social mobilisation as political activity, and prohibiting the acceptance and utilisation of foreign contribution for activities that are detrimental to the ‘national interest’, with ‘national interest’ too remaining undefined in the present law. Additionally, Nair writes, there is the growing issue of bank de-risking, resulting in delays or denials of money transfers, affecting NPOs’ access to financial services and, in turn, their operating space. 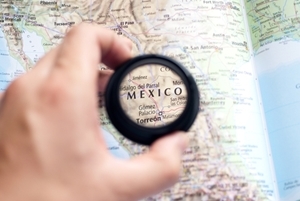 Poonam Joshi, the Director of the London Office for The Fund for Global Human Rights writes about how Mexico, in implementing the FATF’s money laundering directives to tackle the drugs trade, has triggered the repression of human rights groups and the closing down of civil society space. The resources non profits need for compliance are enormous and often unrealistic. The solution to the often untenable situation for non profits lies, Joshi writes, in raising more awareness around the issues on the ground , and in direct advocacy with the FATF, campaigning for a risk-based approach.